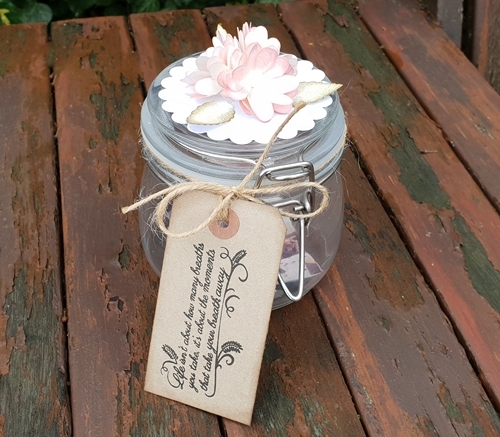 Hi everyone, Christine here today with a decorated Memory Jar. These are so easy to create by repurposing an everyday jar and make wonderful gifts too. 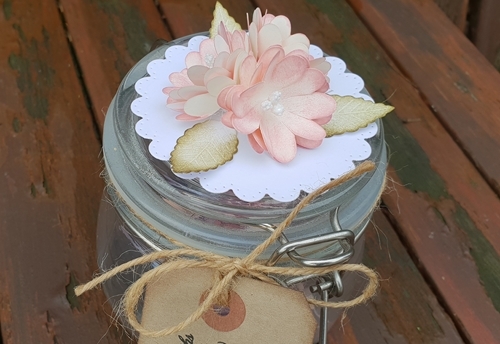 You can pop little photos inside and notes that mean something to you and then fix a date to open it up and remind yourself of lovely events, sentiments and feelings. 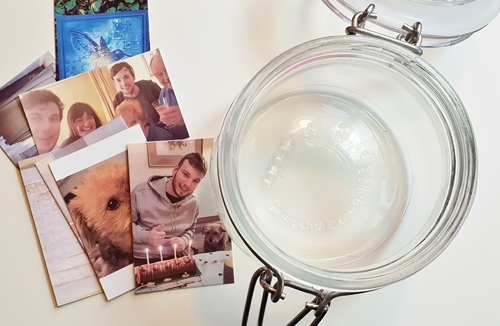 Select a jar, any shape will do as long as you can insert little photos and notes. It is possible to purchase printers to produce photos from your phone if you wish. 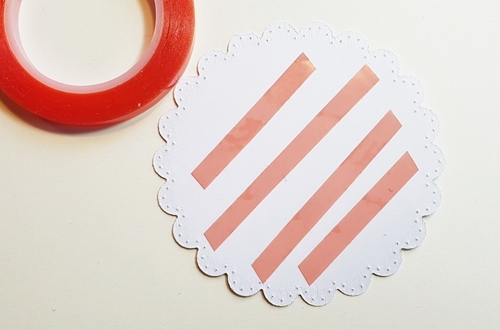 Calculate the size of the jar lid and select a pretty die cut to affix to the top. Using strips of Extreme Double Sided Tape 1/4 inch will hold this in place perfectly. 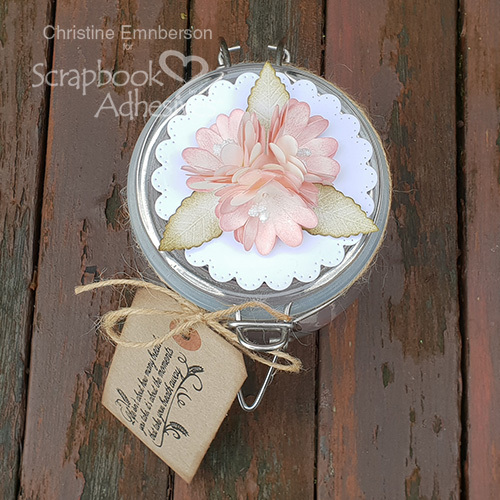 For the lid decoration, I’ve chosen die cut flowers and leaves that I’ve colored with distress inks Affixing 3D Foam Squares Small on the reverse of each leaf gives wonderful extra dimension. Stamens inside die cut flowers look extra realistic. 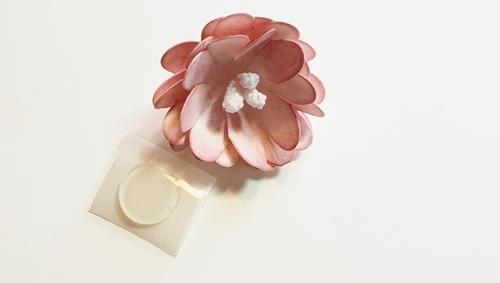 To hold the stamens in place use Adhesive Dots 3D. Trim the stamens, pop them through the layered flowers and cover with the Adhesive Dot on the reverse. 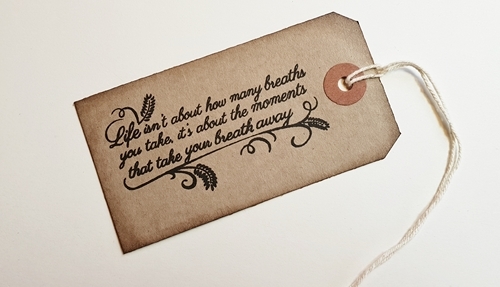 I selected a kraft tag to tie around the jar and stamped a suitable sentiment. 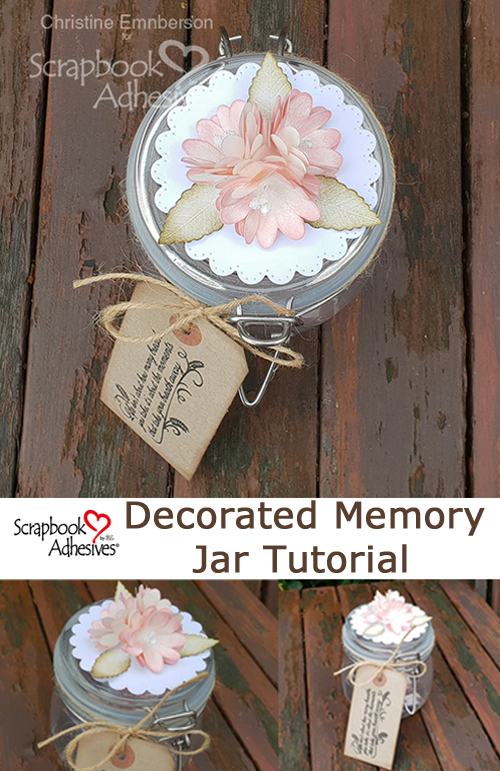 The finished decorated memory jar. This will sit on my kitchen windowsill where I will continue to place items inside throughout the year. 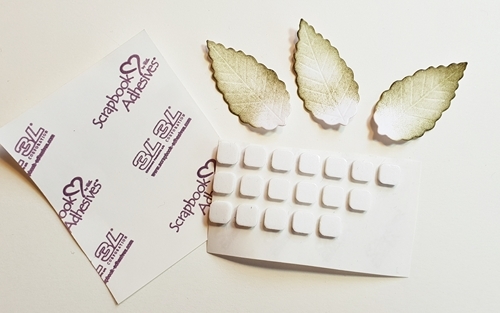 Thanks for stopping by and check out the brilliant adhesives on the website. Extreme Double Sided Tape – 1/4 inch. This entry was posted in 3D Foam Squares, Adhesive Dots & Lines, Adhesives, Crafts & Tutorials, Extreme Double-Sided Tapes, Home Decor, HomeHobby by 3L, Intermediate, Permanent Adhesive, Skill Level, Tutorial and tagged 3D Foam Squares Mix White, 3D Foam Squares Small White, Adhesive Dots 3D, Christine Emberson, Extreme Double-Sided Tape 1/4", Home Decor, HomeHobby by 3L, Jars, Spellbinders Paper Arts, Tutorial. Bookmark the permalink.